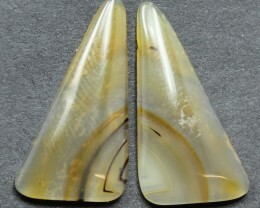 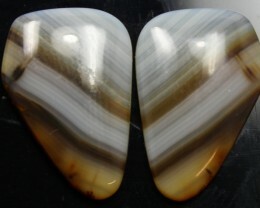 WYOMING AGATE MATCHING PAIR OF STONES PERFECT SIZE TO MAKE A BEAUTIFUL SET OF EARRINGS , GREAT PATTERN COLOR AND STONES HAVE A TOP POLISH NOW READY FOR ANY SETTING. 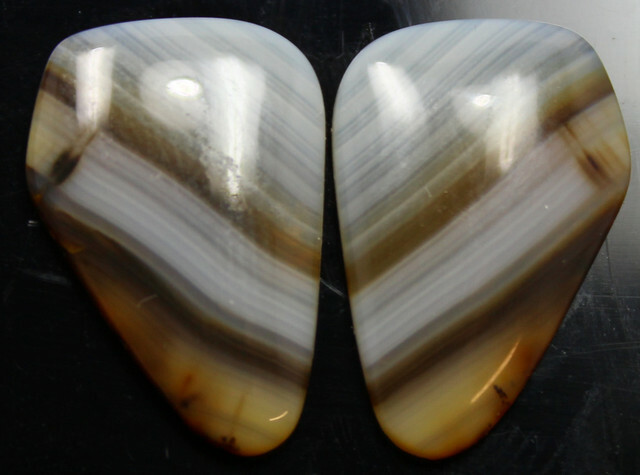 The main conditions necessary for Agate formation are the presence of silica from devitrified volcanic ash, water from rainfall or ground sources, manganese, iron and other mineral oxides that form the white, red, blue, grey, brown or black bands. 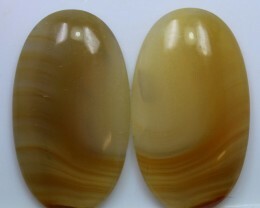 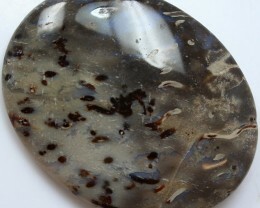 Agate comes in many different forms ranging from transparent to opaque. 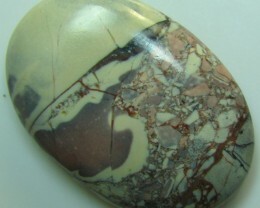 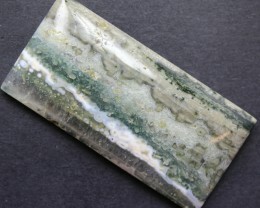 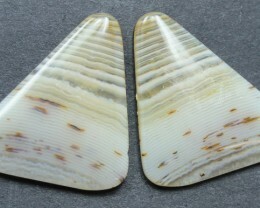 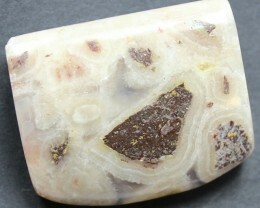 Some Varieties include Blue Agate, Blue Lace Agate, Crazy Lace Agate, Green Agate, Indian Agate, Moss Agate, Fire Agate, Tree Agate, Onyx, Sardonyx and Wood Agate. 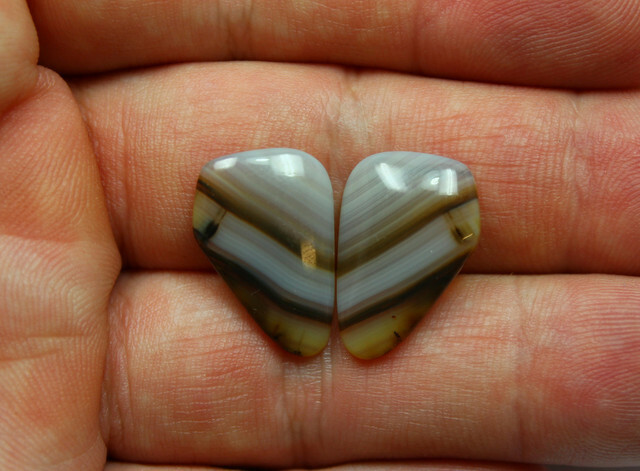 in ancient times Agate was highly valued as a talisman or amulet, it was also said to quench thirst and protect from fevers. 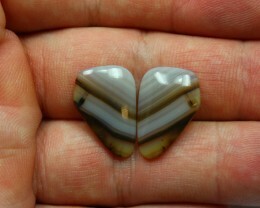 And there are legends that tell us that Persian magicians used agate to divert storms. 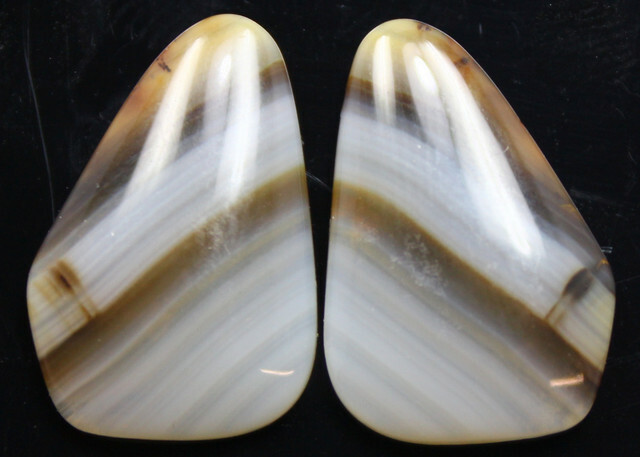 A famous collection of three thousand agate bowls which was accumulated by Mithradates, King of Pontus, shows the enthusiasm with which agate was regarded in the past. 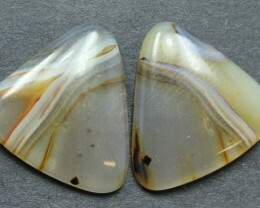 Agate bowls were also popular during the Byzantine Empire. 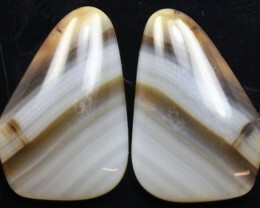 Collecting agate bowls became common among European royalty during the Renaissance and many museums in Europe, including the Louver, have spectacular examples.